So Chickie is taking the last of her vacation today (and yesterday afternoon) so I have to work hard. It's not that I don't work hard when she is on the sales floor, it is more that I know I have someone who covers my back without a specific request. At least most of the time. But when she's out of the shop (or when I'm out of the shop to be totally fair) we have to work harder. Although Jim can be a tremendous help and resource, his hearing loss is acute and interacting with customers is often an afterthought. If the store is crowded or if I'm really busy helping someone, it is annoying to have to specifically direct him to help a customer (two customers is one too many) when normally I would never have to ask. We're a retail store. We help customers. It's our JOB! Really? REALLY? 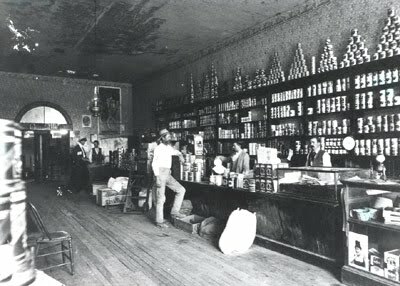 Old time mercantile stores were all about customer service. Normally when I am revising stories I just overwrite and save the new version over the old. The story I am currently writing on was started on Tuesday, revised on Wednesday, and then I started keeping versions saved instead of overwriting. I am now onto Version Four and actually much happier with the story. Eventually I'll dump the versions I don't want, but I may combine some things too, or revisit a sentence that may have been changed to bear no resemblance to the original. It's interesting to have a history available. After a tumultuous season we're down to the Final Four. I'm not going to mention specific names just in case someone is reading who follows Project Runway, but I am very happy with the four chosen as the finalists. All four of them will now produce collections to be possibly shown at New York Fashion Week, but of those four collections, only three will actually make it to the catwalk. We're getting to the end of this season and the next All-Stars will start in a few weeks. Project Runway and Face Off are my favorite 'reality' shows. Although I have been a Survivor addict for years, this season's cast is boring me to tears, so I'm not watching it. I don't care who wins or not so there is no point to watching the train wreck. I'd rather watch Ghost Hunters. And speaking of watching, happy birthday to James Bond in cinema. 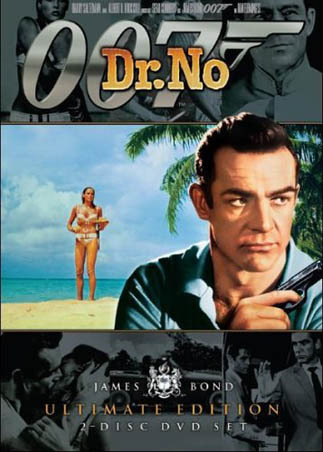 Fifty years ago on this very day, Doctor No was released to the theatres, beginning a franchise that is still going strong today. Long life to you, James Bond, I lift my martini to you. Current Location: Running about 30 minutes late! Doctor No. Never saw, but do remember it. And do remember my then family trying desperately to get into the old Tower Theatre for Thunderball. The lines went down Broadway for MILES. We opted for a comedy and frankly I remember that film to this day; it WAS hilarious. Now what it was called? hahaha don't ask me, my brain lost that ages ago. Oh Woolworth's. I used to just love that store. I'd spend hours looking and save my pennies for some yarn and, if I was really cash flush, a milkshake at the soda bar. My parents refused to allow me to see James Bond until I was quite a bit older. I always envied my cousins whose Mom didn't care. They saw it all on first-run, I didn't catch most of them until 2nd or 3rd release. I loved watching Numb3rs, great show.